Hi everyone! 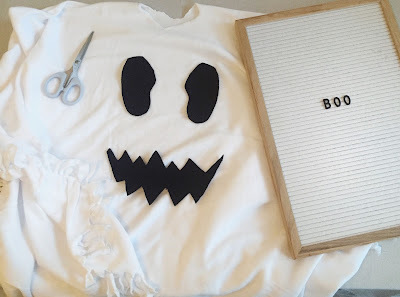 I just wanted to share this quick toddler ghost costume tutorial! This Halloween Mason wanted to be something "spooky" but nothing at the store interested him. I decided to make my own ghost costume because its fun, warm, and just spooky enough for my adventurous toddler. 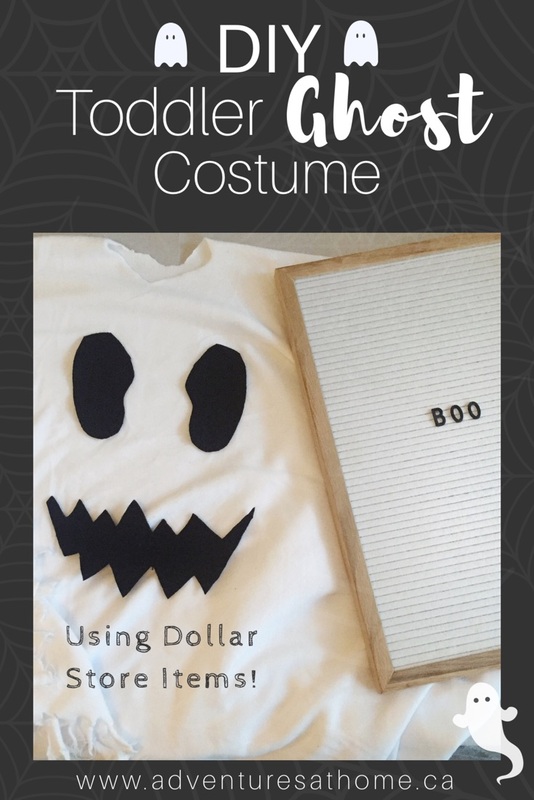 If you're looking for something super simple and inexpensive to make, keep reading! I had a lot of fun making Mason's costume this year. I feel like there is something so special about a hand made costume. 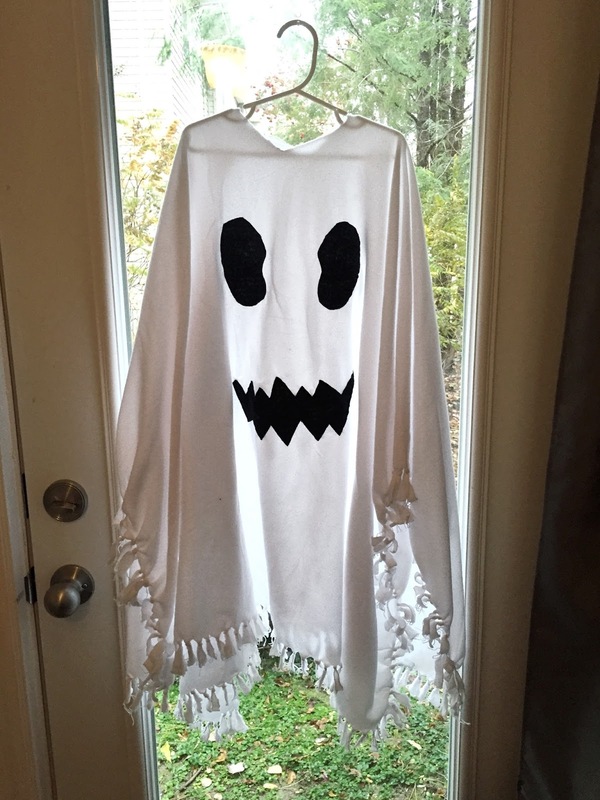 My mom made all of my costumes when I was a kid, and it feels like such a "mom" thing to do- I love it! I started by buying a $4 fleece blanket from the dollar store. The dollar store was out of black felt, so I bought 2 pieces of felt from Michaels for .50 cents each. I folded the blanket in half to find the centre, and cut a circle for his head. Start small, you can always make it larger later. 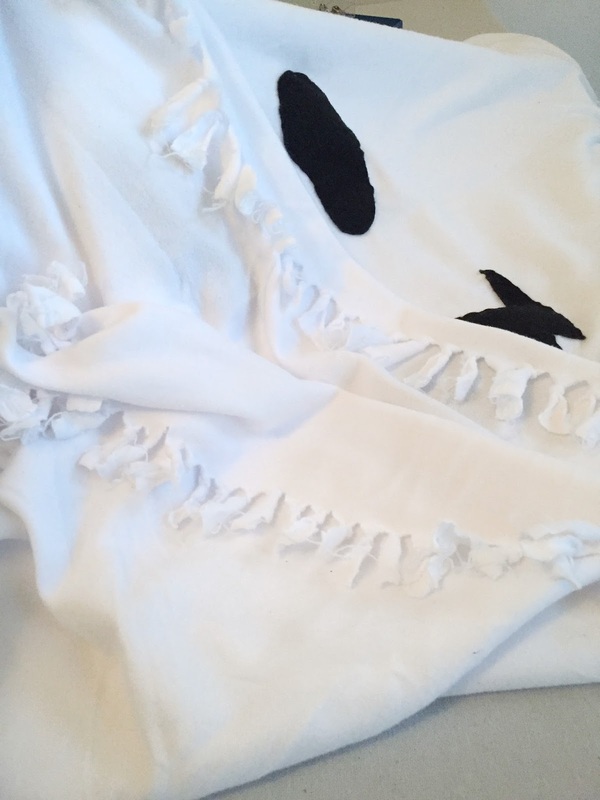 I then went around the entire bottom of the blanket with scissors and cut 1 inch strips. 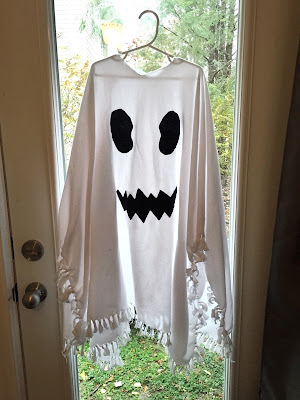 I knotted each individual strip to make the bottom of the ghost. I then cut the eyes and mouth from the black felt. I used a white crayon to draw the shapes before cutting them out. 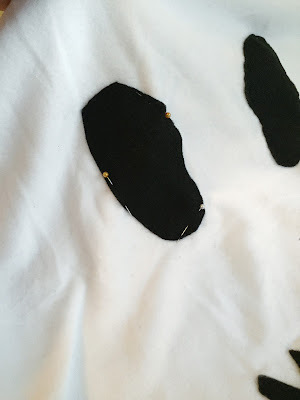 I attached the felt using sewing pins so that I could make sure the face was in the right spot before sewing. Make sure when sewing the face on to put the white crayon side down. You can choose to use fabric glue instead of sewing, but I already had the sewing supplies at home. 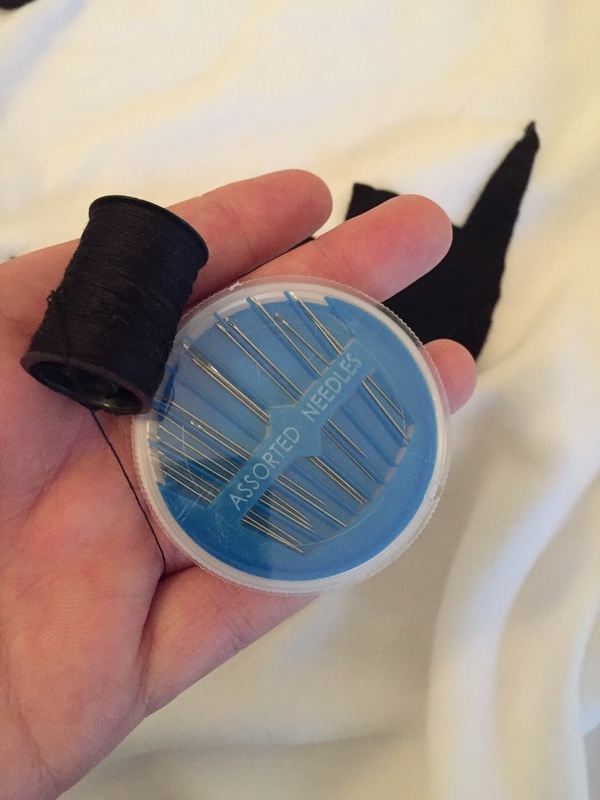 I hand sewed it using a simple sewing needle and black thread. One the face is sewed on, you're done! I bought him a black toque to go with it because I couldn't find a white one, but either would work. Comment below and tell me if you prefer hand made or store bought costumes!